Here's a remarkable set of French Cut diamonds, cut by the master, Yoram F.
The stones are near colorless - G color. All are clean. As par for the Yoram course, the cut is nothing short of astonishing. As the diagram indicates, the widest point is 5mm- tapering down to 1.8mm. 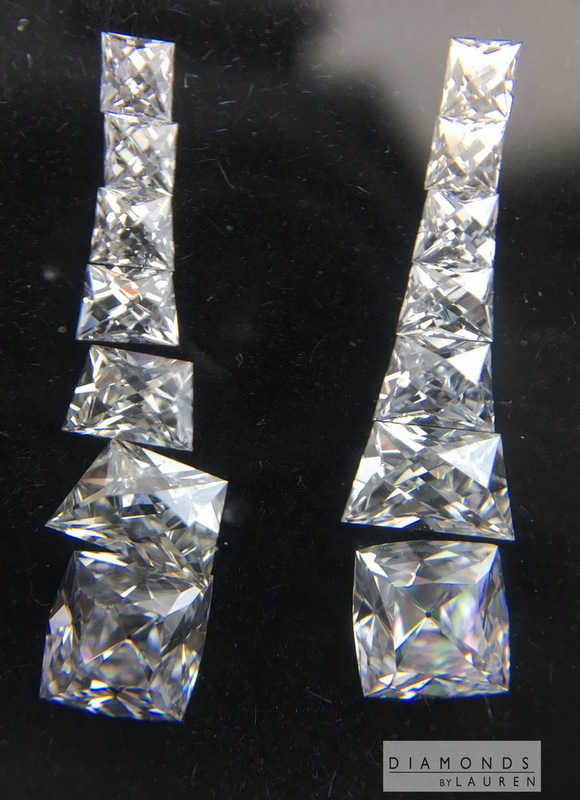 I could see these as side diamonds in a ring, or, we have thought about the haloing the pair of D color Peruzzi diamonds we have and making this into a pair of dangle earrings (the peruzzis are not included in this listing).